This is a dual demodulating log amps and phase detector. Input range -60 dBm to 0 dBm in a 50 system. 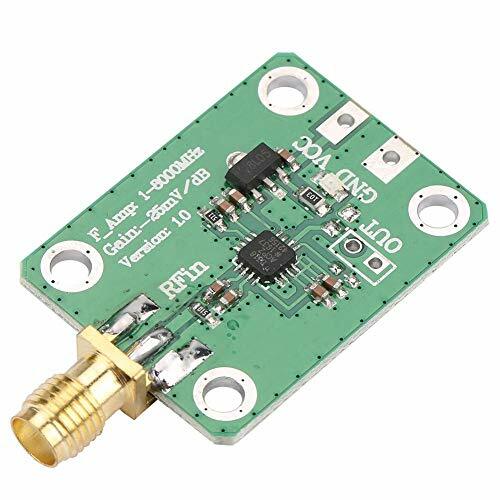 Accurate phase measurement scaling (10 mV/degree) measurement/controller/level comparator modes operates from supply voltages of 3.3v~5V stable 1.8 V reference voltage output small signal envelope bandwidth from DC to 30 MHz. Widely used in RF/IF PA linearization. [2.7 GHz]:The measures gain/loss and phase up to 2.7 GHz. 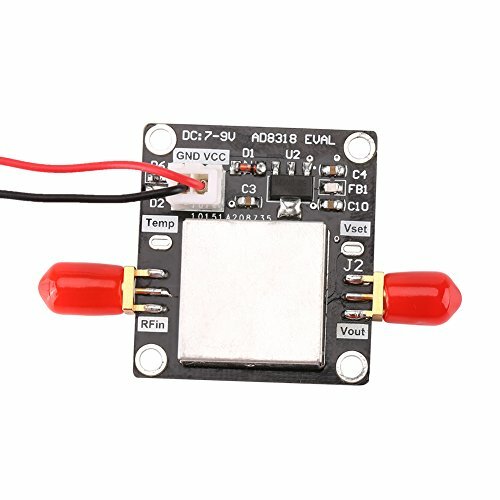 [Multi-function]:This phase detector module remote system monitoring and diagnostics, return Loss/VSWR measurements and log ratio function for AC signals. [High accuracy]:Precise RF power control, accurate gain measurement scaling (30 mV/dB), typical nonlinearity < 0.5 dB, typical nonlinearity < 1 degree. [Dual demodulating]:This is a dual demodulating log amps and phase detector. [Input range]:Input range -60 dBm to 0 dBm in a 50 system. The AD8302 comprises a closely matched pair of demodulating logarithmic amplifiers, each having a 60 dB measurement range. By taking the difference of their outputs, a measurement of the magnitude ratio or gain between the two input signals is available. These signals may even be at different frequencies, allowing the measurement of conversion gain or loss. The AD8302 may be used to determine absolute signal level by applying the unknown signal to one input and a calibrated ac reference signal to the other. With the output stage feedback connection disabled, a comparator may be realized, using the setpoint pins MSET and PSET to program the thresholds. The AD8302 is a fully integrated system for measuring gain/loss and phase in numerous receive, transmit, and instrumentation applications. 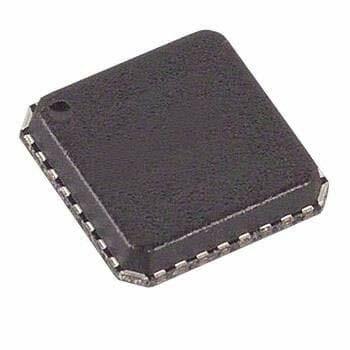 It requires few external components and a single supply of 2.7 V-5.5 V. The ac-coupled input signals can range from -60 dBm to 0 dBm in a 50 ohm system, from low frequencies up to 2.7 GHz. Both subsystems have an output bandwidth of 30 MHz, which may optionally be reduced by the addition of external filter capacitors. The AD8302 can be used in controller mode to force the gain and phase of a signal chain toward predetermined setpoints. The AD8302 includes a phase detector of the multiplier type, but with precise phase balance driven by the fully limited signals appearing at the outputs of the two logarithmic amplifiers. Thus, the phase accuracy measurement is independent of signal level over a wide range. The signal inputs are single-ended, allowing them to be matched and connected directly to a directional coupler. Their input impedance is nominally 3 k at low frequencies. 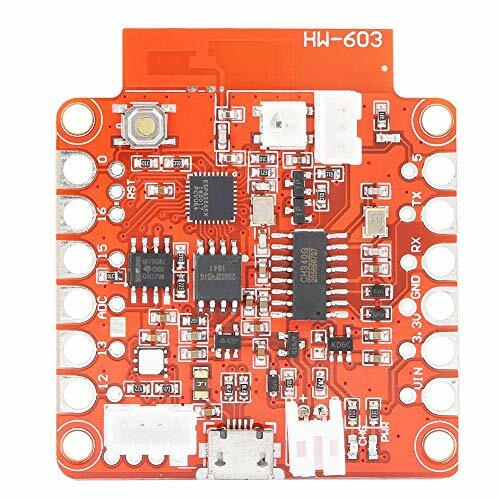 This development board is specially designed for ISO and Android devices, and work for Blynk application. With the board and application, you can simply accomplish various projects based on internet of things. The board allows you to control LED, sends a notice when it is time to water your plants and more. It is convenient to use and comes fully programmed, all you need to do is to connect it to Wi-Fi and your account. 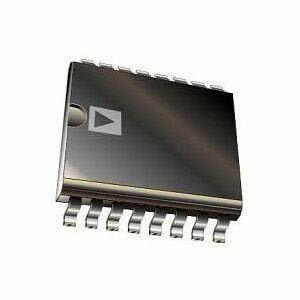 The AD8310 is a high-speed voltage-output logarithmic amplifier with a detection frequency range of DC to 440MHz. 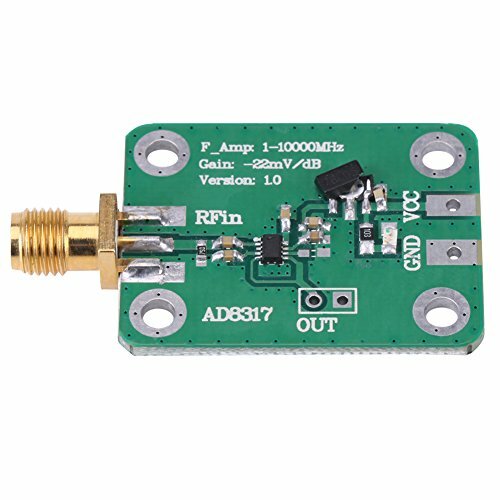 Has a very fast response time (typically 15 ns) and can be used as an ASK demodulator of more than 10 MHz. It is also the best choice for improving the precision of IF signal measurement chips. The detector output voltage is equivalent to the input signal dB output. Its applications include RSSI, transmit power control and pulse detection. 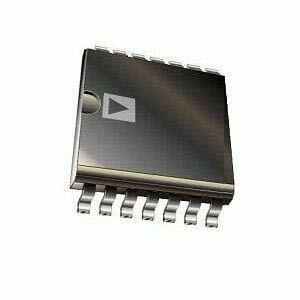 The AD8310 is a high-speed voltage-output logarithmic amplifier with a detection frequency range of DC to 440MHz. 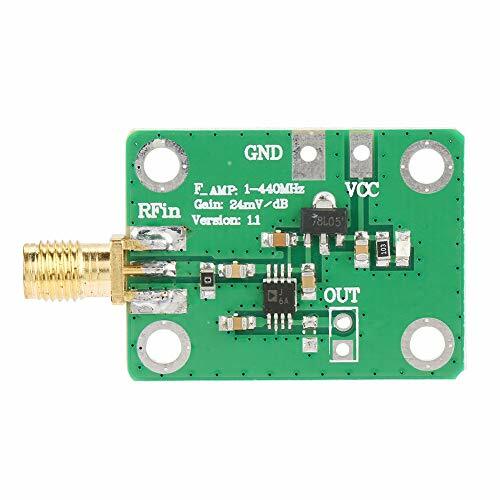 Has a very fast response time (typically 15 ns) and can be used as an ASK demodulator of more than 10 MHz. It is also the best choice for improving the precision of IF signal measurement chips. The detector output voltage is equivalent to the input signal dB output. Its applications include RSSI, transmit power control and pulse detection. Application to RF transmitter PA setpoint control and level monitoring RSSI measurement in base stations, WLAN, WiMAX, and radars. The AD8318 is a demodulating logarithmic amplifier, capable of accurately converting an RF input signal to a corresponding decibel-scaled output voltage. It employs the progressive compression technique over a cascaded amplifier chain, each stage of which is equipped with a detector cell. The AD8318 can be configured to provide a control voltage to a VGA, such as a power amplifier or a measurement output, from Pin VOUT. Small footprint LFCSP,Integrated temperature sensor,Fabricated using high speed SiGe process. 1 MHz to 8 GHz WIDE BANDWIDTH-- Logarithmic detector adopts the progressive compression technique over a cascaded amplifier chain, each stage of which is equipped with a detector cell. It maintains accurate log conformance for signals of 1 MHz to 6 GHz and provides useful operation to 8 GHz, meet your basic demand. HIGH ACCURACY & QUICK RESPONSE-- The input range is typically 60 dB (re: 50 ) with error less than 1 dB. It can accurately convert an RF input signal to a corresponding decibel-scaled output voltage. 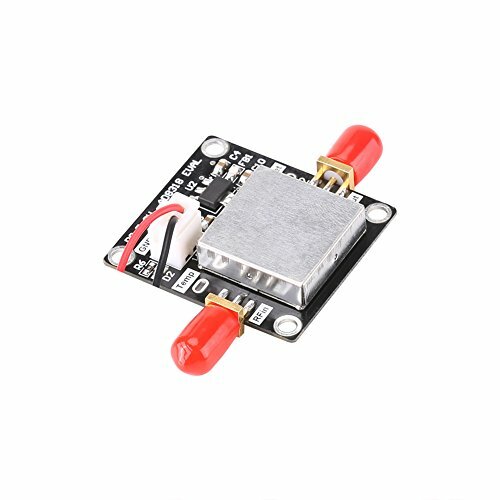 It has a 10 ns response time that enables RF burst detection to beyond 45 MHz, it can help you complete your work quickly. 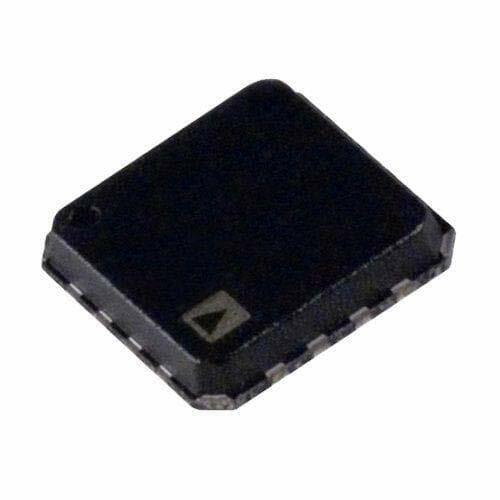 APPLICATION-- The AD8318 can be used to provide a control voltage to a VGA with other parts. It features low noise and can be used in measurement or controller mode. HIGH PRECISION-- The AD8318 adopts a specially SiGe bipolar IC process and is available in a 4 mm x 4 mm, 16-lead LFCSP. It can work normally under the temperature of -40 to 85 . It has the characteristic of high stability and reliability. FEATURE-- As a measurement device, Pin VOUT is externally connected to VSET to produce an output voltage, VOUT, which is a decreasing linear-in-dB function of the RF input signal amplitude.The logarithmic slope is nominally -25 mV/dB but can be adjusted by scaling the feedback voltage from VOUT to the VSET interface. The intercept is 20 dBm (re: 50 , CW input) using the INHI input. This RF detector made by superior material in order to has longer life. The operating frequency range is 1-8000 MHz, and it can detect -65 to 5dBm RF signal and with DC voltage output the detected signal strength (in dBm, logarithmic detection). Our products have been inspected by a reputable third party inspection company. Each product has been checked, put under a durability and functionality test before shipped to you. If you have any questions or the items you received with problems, contact us directly, we'll provide you with some professional suggestions within 24 hours. 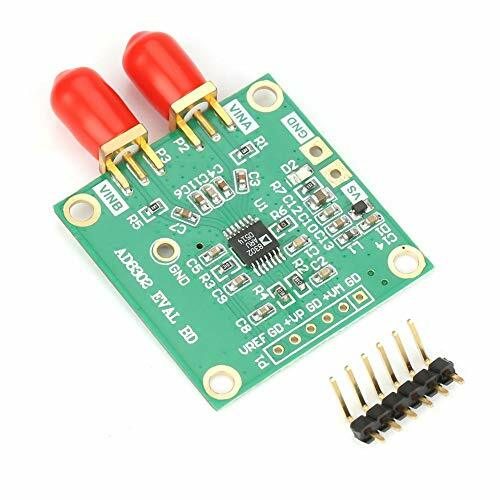 High Quality : The RF detector is made of AD8318 chip, the design of the power supply voltage regulator circuit such that the detection accuracy tends to official data. Widely Range : The operating frequency range is 1-8000MHz, can detect -65 to 5dBm RF signal and with DC voltage output the detected signal strength (in dBm, logarithmic detection). The RF signal is converted into a DC voltage output. RF signal corresponding to the amplitude or power of the output voltage. You can do signal strength indicator RSSI, spectrum analyzer, gain control. It has very good sensitivity. Accurate date It has very good sensitivity, such that the detection accuracy tends to official data. 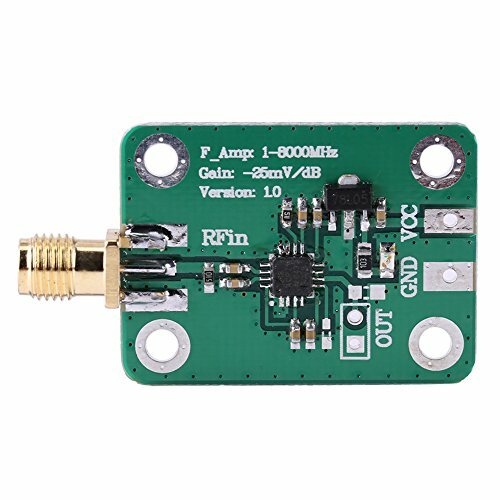 The RF detector is made of AD8318 chip, the design of the power supply voltage regulator circuit such that the detection accuracy tends to official data. The operating frequency range is 1-8000MHz, can detect -65 to 5dBm RF signal and with DC voltage output the detected signal strength (in dBm, logarithmic detection). The RF signal is converted into a DC voltage output. RF signal corresponding to the amplitude or power of the output voltage. You can do signal strength indicator RSSI, spectrum analyzer, gain control. It has very good sensitivity. 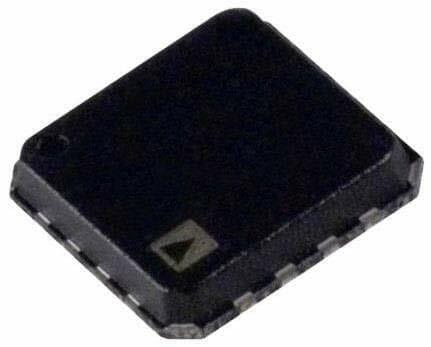 RF detector is composed of AD8318 chip. The design of power supply voltage stabilizing circuit makes the detection accuracy tend to official data. The working frequency range is 1-8000mhz, which can detect the RF signal from -65 to 5dBm, and has the detection signal strength of dc voltage output (with dBm as the unit, logarithmic detection). RF signal is converted to DC voltage output. RF signals correspond to the amplitude or power of the output voltage. 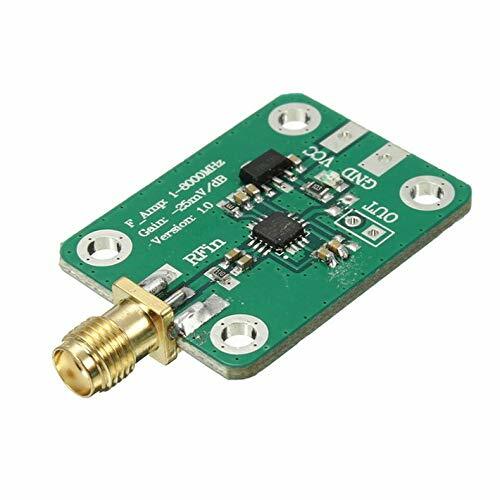 It can be used as signal strength indicator RSSI, spectrum analyzer, gain control. This Logarithmic detector has very good sensitivity. 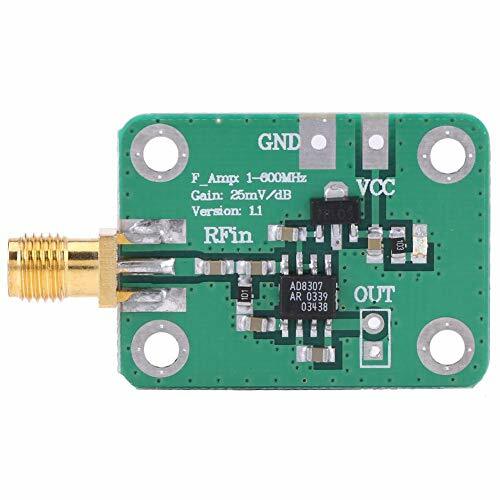 RF detector is composed of AD8318 chip. The design of power supply voltage stabilizing circuit makes the detection accuracy tend to official data. The working frequency range is 1-8000mhz, which can detect the RF signal from -65 to 5dBm, and has the detection signal strength of dc voltage output (with dBm as the unit, logarithmic detection). RF signal is converted to DC voltage output. RF signals correspond to the amplitude or power of the output voltage. 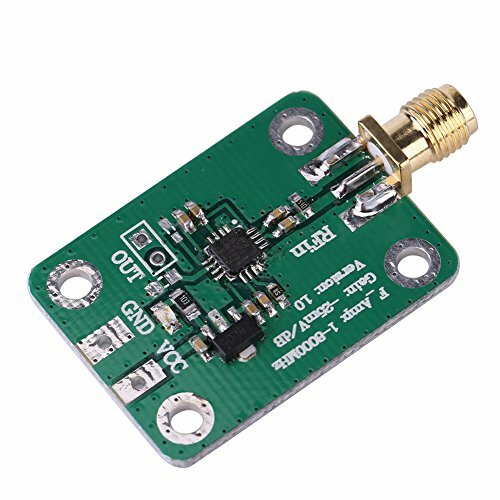 It can be used as signal strength indicator RSSI, spectrum analyzer, gain control. This Logarithmic detector has very good sensitivity.